Theres a super cute organic brand called KINN living which seems to be everywhere at the moment. 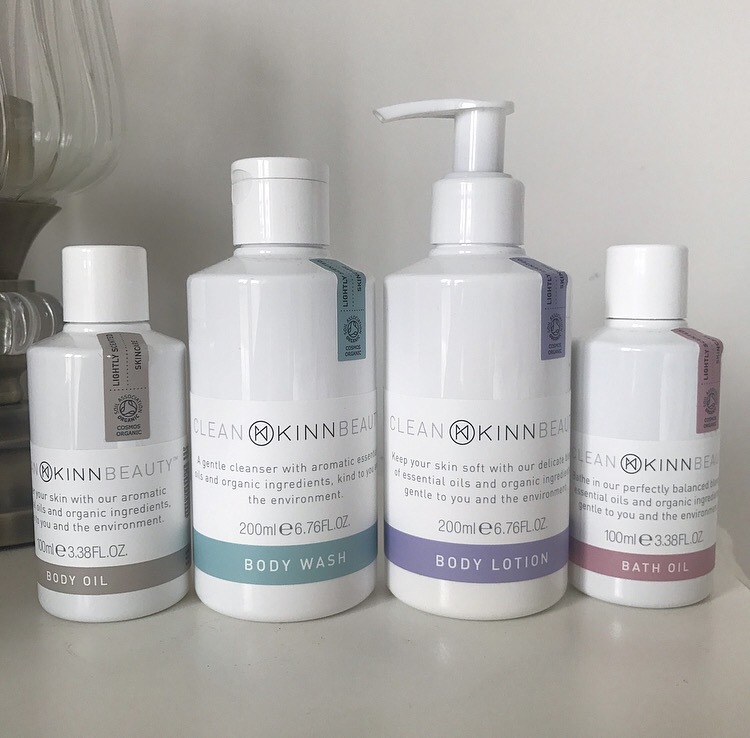 KINN is a family company, launched in London this year and the founders are a gorgeous mother and daughter duo who decided they wanted to create luxury, design-led, organic and non-toxic products for the family and the home. All the products are based on their family heritage which has a background in aromatherapy and all the products are eco-friendly, non-toxic and vegan. The packaging is minimal, super chic and looks great in the bathroom. It’s also fully recyclable, sustainable, fully-traceable, ethically-sourced and made in Britain which is really fantastic. I absolutely love using this body wash. It smells really luxurious, expensive and organic because you can really smell the Ylang Ylang. A small amount foams up amazing considering it contains no parabens and the blend of essential oils and organic ingredients such as ylang ylang, tangerine, lavender, coconut oil, aloe vera extract and chamomile to help repair and moisturise the skin. It doesn’t have that oily eco brand feel which is great as it leaves skin feeling fresh and squeaky clean. The body lotion contains lavender, tangerine, sunflower oil, shea butter, cacao butter and aloe vera leave skin feeling super soft. It smells the same as the body wash so it’s a good way to layer the scent. The moisturiser is hydrating but for those of you who need that additional help would have to add a few drops of the body oil. As you may have noticed all the products contain a mixture of ylang ylang, lavender, tangerine, avocado oil, sunflower seed oil, grape seed oil and jojoba oil to their products. A few drops of this in your bath will bring the spa at home and soothe and comfort you, leaving you with amazing skin. For those of you who like eco, stylish and subtle smells, you will love these products. They do home cleaning products too so check them out.